While in Manhattan this winter, I made a date with my wonderful Polish-American friend Patrycja Kolsut at Grand Central station. 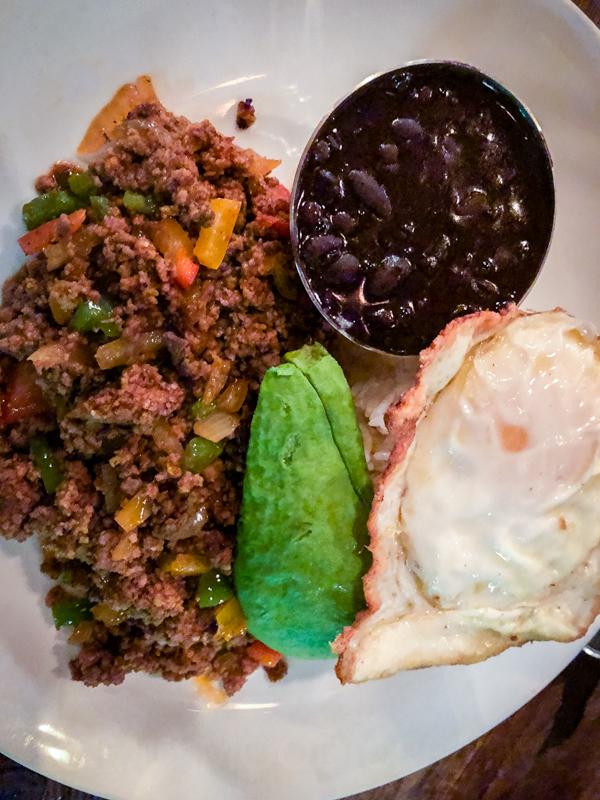 She's now a bonafide New Yorker and we knew we could trust her to help us find some wonderful Latin American food. She shuffled us down to the 6 train and in minutes we popped up into Alphabet City in the East Village. Neither of us had been to the East Village before. What would a Cuban restaurant be without a world class mojito? Discovering small, off-the-beaten-path restaurants, like Café Cortadito, with unique and exciting wine lists is our primary mission as wine, food, and travel writers. Sharing this with a dear friend whom I haven’t seen in over 10 years made it amazingly special! Even more special was getting to introduce my wonderful Patrycja to Jake and watch them fall instantly in love! Café Cortadito was one of several options for us. We asked Patrycja about Puerto Rican, Cuban, or anything South American. Cuban it was, and what a discovery. Café Cortadito struck every travel criteria we have… neighborhood eatery, authentic ethnic cuisine, unique wine list, and charming proprietors. Added bonus, the owner was Patricia, so we had the power “P’s” Patrycja, Patrick, and Patricia, oh and of course Jake. This magical evening started with the BEST mojitos ever, and Patrycja was VERY thirsty! She regaled us with her tails of 4 hour summer sidewalk sipping at this charming Cuban eatery bolstered by limitless Sangrias! From the appetizers to the entrées (paella, picadillo, skirt steak!) to the unbelievable Tres Leché cake, we spent an evening immersed in catching up, sipping, and eating. Of course the centerpiece of the table was an amazing Rioja Reserva. When any Spanish wine is labeled Reserva, this means the wine has had have at least 12 months in oak, and released after three years. Rioja is a wine region in Spain, and the bodegas make their red wines from Tempranillo and Garnacha grapes (the Spanish word for Grenache). A Rioja's price can vary significantly but even the less expensive ones offer good values—they're extremely reliable food wines—and this one with its cedar box nose and bright dancing cherry note paired wonderfully with all the sassy Cuban food. It had been in the bottle over 6 years, which was a treat; Riojas generally have the backbone for a little aging. My mouth is watering just remembering it! The magic of finding these intimate eateries is how they create space for true connections, stories, and of course culinary tastes that demonstrate love, authenticity, and place. With this criteria in mind, the evening was perfection!